The AJ Outdoor wall light is equipped with an LED 8W, 3000 K. LEDs have clear advantages compared to conventional incandescent lightbulb: first of all, a LED lamp functions is immediately 100% functional, while many other energy saving lamps require a certain start up time. LEDs are also ideal for outdoor use as they do not lose their power even at temperatures below freezing. Moreover, they emit a pleasant light, are energy-friendly and last but not least they have a long serving life. The LED unit from the AJ Outdoor wall lamp consists of eight LED diodes. The LED light is used without a ballast to ensure higher material safety. 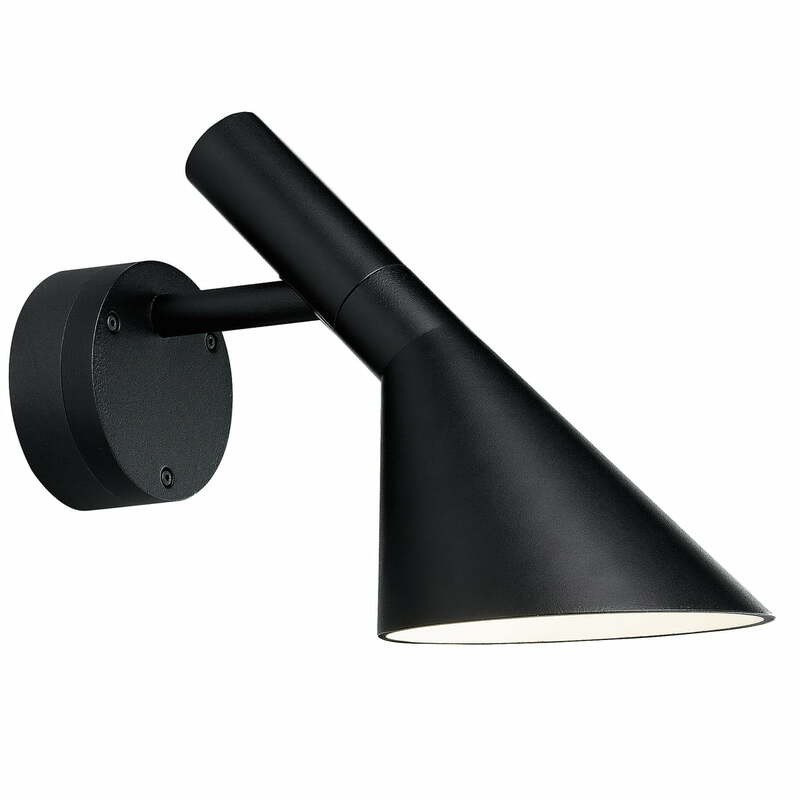 The AJ wall light itself consists of high-pressure die-cast aluminium. Its surface is simply textured and weather-resistant. The inner screen is lacquered white; the light is thus pleasantly reflected and diffused. AJ 50 Wall is glare-free and creates a wide, downward light. 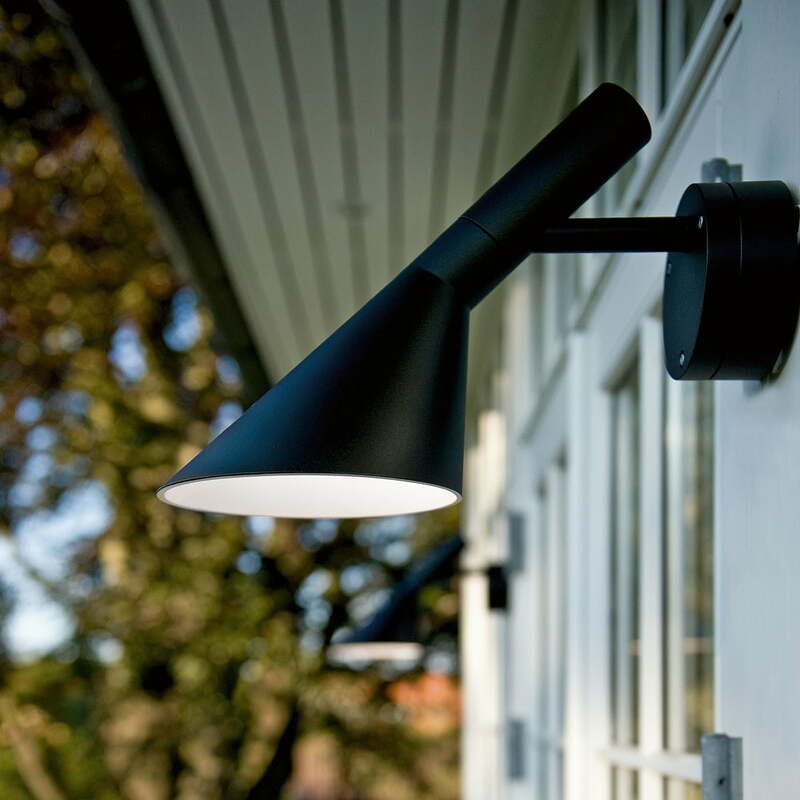 The AJ Outdoor wall light LED from Louis Poulsen is a design element that was created for modern architecture. The aesthetics of the lamp designed by Arne Jacobsen completes and emphasises the architectural expression; the distribution of the light underlines the functional and decorative features of the building and its immediate surroundings.